EBC 9628 and 9627 on my 1971 pre HE V12. Visit the Jag Lovers homepage at http://www.jag-lovers.org for exciting services and resources including Photo Albums, Event Diary / Calendar, On Line Books and more ! It’s OK, but you might not want to. to last too long before it starts leaking. seal used but should last a good ten years at least. Don’t forget that you’ll want to replace the cam cover bolts as well. I have already purchased a couple of half moon seals. covers off again within 10 years. So some Loctite and the jobs done. the winter valve stem seal replacement project. Okay, or are the newer ones an upgrade worth going with? an upgrade worth going with? heard of anyone having any more trouble with any one versus another. engine vibrations probably work them loose. gaskets if you ever hope to change spark plugs again. Is there any update on this? 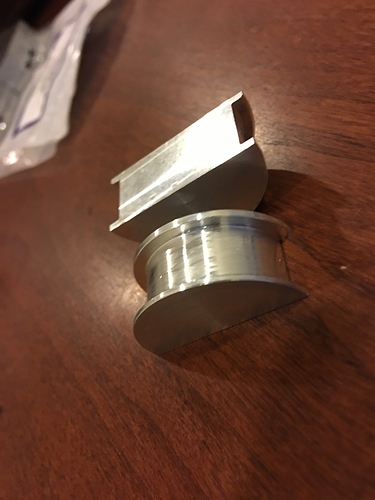 Are the aluminum half moons still available? I thought John had made a new run, I’ve been distracted and haven’t gotten the opportunity to install mine. You could contact him directly? I’ve attempted to “share” this link with Jonas. I think he will be in touch, if not give me a PM and I will assist. 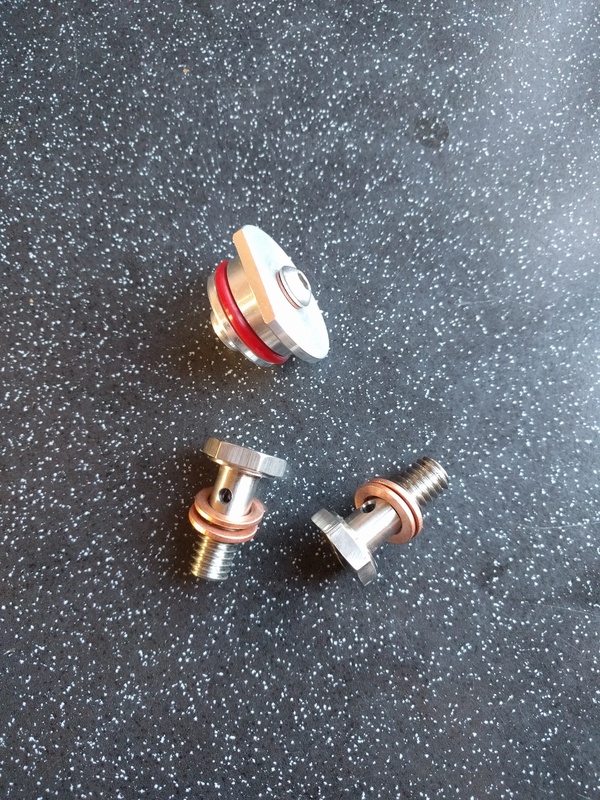 Yes aluminium half moon seals are still available as well as upgraded oil feed banjo bolts (below half moon seals) and aluminium chain tensioner plug. John, do you happen to know what the dimensions of the aluminium bungs are, so that I can make them. What bungs are you talking about? I was thinking of the half moon aluminium cam cover bungs. Also if I use loctite 518 will the cam covers be easy to remove in the future? Yes, I’m making them myself. Reg. Loctite 518 I think it will work very well between head and tappet block and for sealing half-moon seals in place, but for cam covers I would use newer style 3-layer gasket. IF you have aluminum half moons, use a gortex sandwich gasket and apply sealant only around the curved underside of the half moons. The idea of omitting the gaskets in favor of sealant all around is for using the OEM rubber half moons. It’s because the rubber half moons don’t provide a rigid surface for the gasket to be compressed against so the gasket will always leak there – probably between gasket and cam cover, actually. I used Permatex Ultra Black on a project recently. It’d probably work as well as 518 for the cam covers and half moons, and it might be easier/cheaper to find. Note the assembly instructions for Ultra Black involve mating the parts up just tight enough to start squeezing the goop out and then let it sit for a while before fully tightening.